Will Wrought Iron Doors Rust? 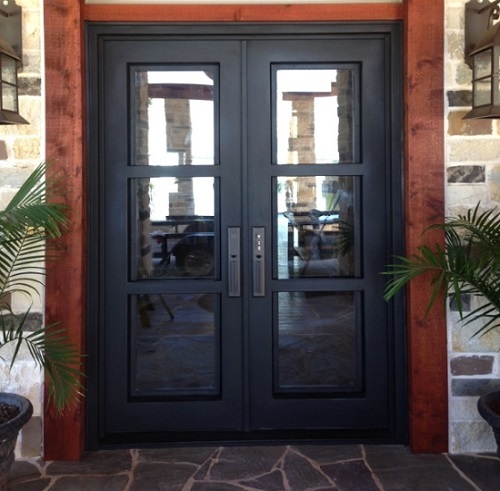 - Iron Doors Plus, Inc.
Will Wrought Iron Doors Rust? /News/Will Wrought Iron Doors Rust? Posted on November 23, 2018 by Iron Doors wrote in News. There is a worry anytime you choose something metal to go outside of your home that it will rust. Cast and wrought iron can be particularly susceptible to moisture and humidity, something that the exterior of your front door is exposed to a lot of. However, very much like a car, your wrought iron front door is largely protected from rust, but it can happen with age if proper care isn’t given. What protects crafted wrought iron doors from rust is primarily a hot zinc galvanization process that gives a nice protective layer from the oxygen and moisture that causes iron to corrode away with rust. Furthermore, as many wrought iron doors are later painted to fit the unique style of your home, you also get that extra protective layer of paint. However, while the above gives your doors a long life, similar to the protective paint on a car, it doesn’t last forever. However, wrought iron doors require restively little maintenance, but a little goes a long way towards keeping an iron door looking nice for a lifetime. The best thing you can do for your door is to regularly (even if it is just annually) clean it with castile soap. Furthermore, it is important to dry the surface after cleaning and rinsing it off to limit moisture. If rust is appearing on your wrought iron door a couple decades after installation, it can be scrubbed off with a wire brush. 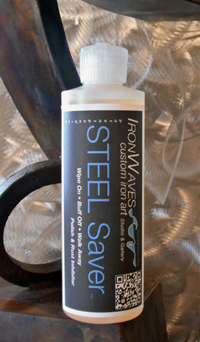 At this point, you should highly consider getting the wrought iron repainted with a protective paint. If you are considering the beauty and security of having a wrought iron door installed, but are concerned about rust, contact us today. We can talk you through every process and step we take to make sure that rust stays away during a wrought iron door’s long life.